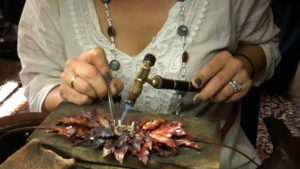 AikSpy is jeweler owned, staffed with creatives and makers, forming a skilled and knowledgeable team. We pride ourselves on start to finish, in-house jewelry creation. Jewelry left in our care will never leave the premises, is locked in our safe at all times, and is fully insured. Please Tour Our Shop, and see where modern heirlooms begin their lives. Work with our designers to create a one-of-a-kind piece, or redesign your existing family heirlooms into a new piece you’ll want to wear every day. 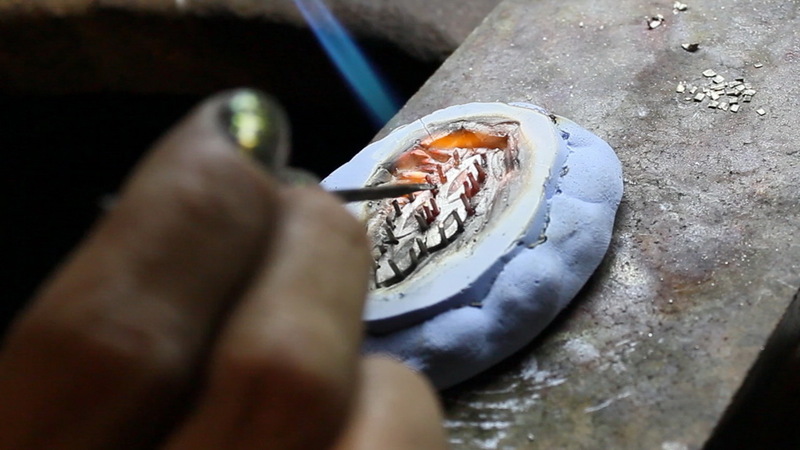 All ideas are welcome and we’ll guide you through our process from design, to prototype, to hand-finished piece. 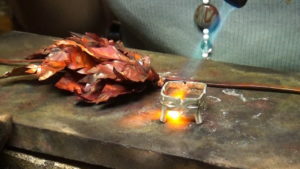 AikSpy combines the newest design technology with ancient metalsmithing techniques to create our stunning, one-of-a-kind pieces. Commissioned AikSpy Pieces and Heirloom Redesigns average between $200 – $5000.00. We are committed to our judgement free, laid-back approach to fine jewelry. We would never want a potential client to be intimidated by the average cost of our projects, please feel free to approach us with your ideas and budget, we will do our best to work with you! Before work starts, AikSpy will create an estimate specific to your project, based on the following categories. 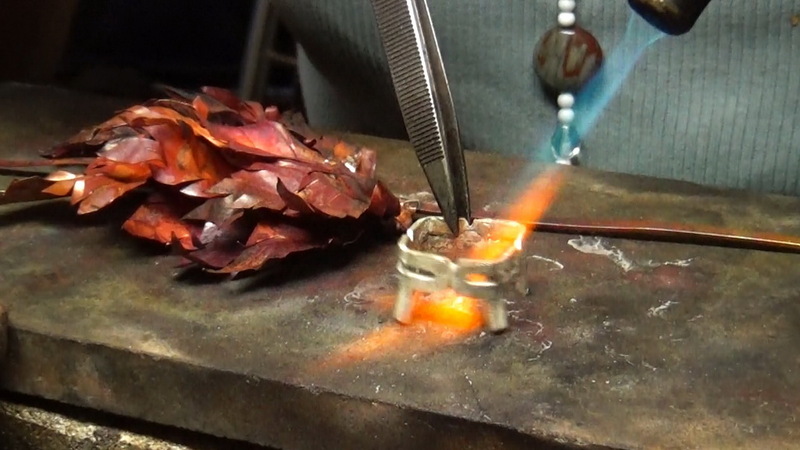 AikSpy uses only fine metals (silver, gold, palladium, and platinum). 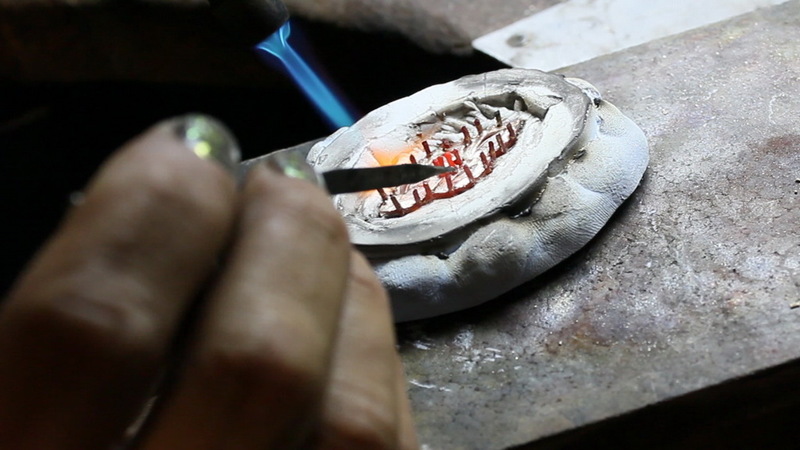 Your metal cost will be based on overall weight of your piece and market price on the day we cast. We understand that it is sometimes difficult to fully visualize a completed commissioned design! We at AikSpy want you to feel confident commissioning your treasured pieces with us. We assure you that no piece will move to the final casting and finishing stages, before you feel comfortable with your design. We want to assure you that minor alterations to your design, while subject to timeline changes, will not accrue additional fees. You will receive both digital renders and 3D prototypes to approve, before we ever move to final stages of creation. And, if you find your original direction is not as you envisioned, we will always work with you, at a discounted re-design rate, until you are happy with your piece. We love working with you bring your jewelry to life, and are honored you are considering allowing us to do so. If there is ever anything we can do to make the process easier, don’t hesitate to reach out. We are committed to making the sometimes daunting task of commissioning a piece of jewelry an easy and pleasant experience. AikSpy stands behind the qualaity of our pieces. The purchase of each ring includes a complimentary sizing, if needed. Additionally, you will receive free cleanings and stone checks for the lifetime of any piece you purchase from us. At AikSpy we pride ourselves on the quality of our work. In the rare circumstance your piece breaks or needs repair during the first year of normal daily wear, we will repair it at no cost to you, up to $250.00. Beyond $250.00, a discounted rate will apply to your repair. In the extremely rare case that you have continual issues with your piece during normal daily wear, we will re-make or re-cast your ring at no cost to you. These cases are exceedingly rare and will be assessed on a case-by-case basis when you bring the ring in. This will need to be brought to our attention within the first year of the ring’s life. AikSpy does not cover damage to the piece that incurs due to rough wear or general misuse of the piece. Normal repair fees will apply. Read more about daily wear and tear vs. rough wear here. 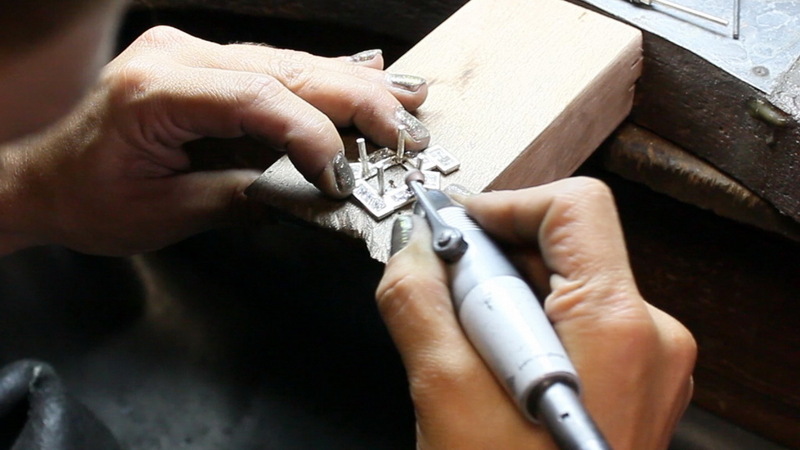 We pride ourselves on workmanship and stand behind the construction of all of our pieces. If you do have issues, please allow us to resolve them first. 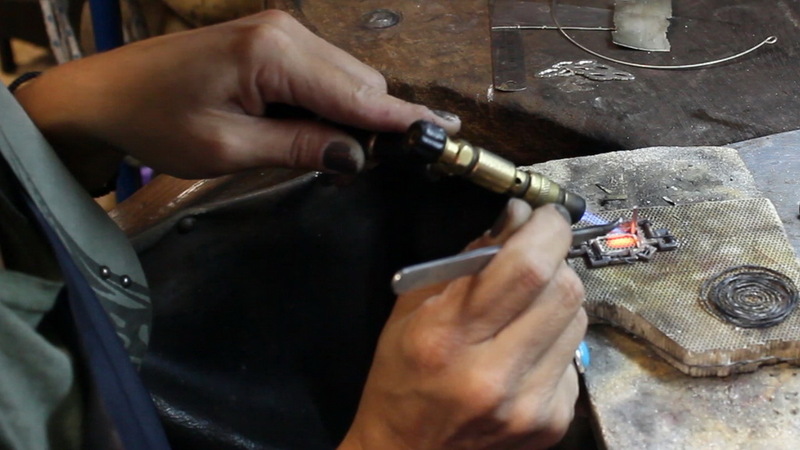 Having your AikSpy piece worked on by another jeweler will void the remainder of your warranty. AikSpy orders, customized inventory, and items from our engagement line are not currently returnable or exchangeable. Purchases of our Standard Inventory* can be returned or exchanged within 2 weeks of purchase date (delivery date for online orders). Upon return of the item, we will assess it to ensure no damage or wear has been done to the piece, after which we will either send you your exchange piece or will refund your purchase cost. Return shipping will not be reimbursed. If damage is found, you will be notified, and we will return the originally purchased item to you. 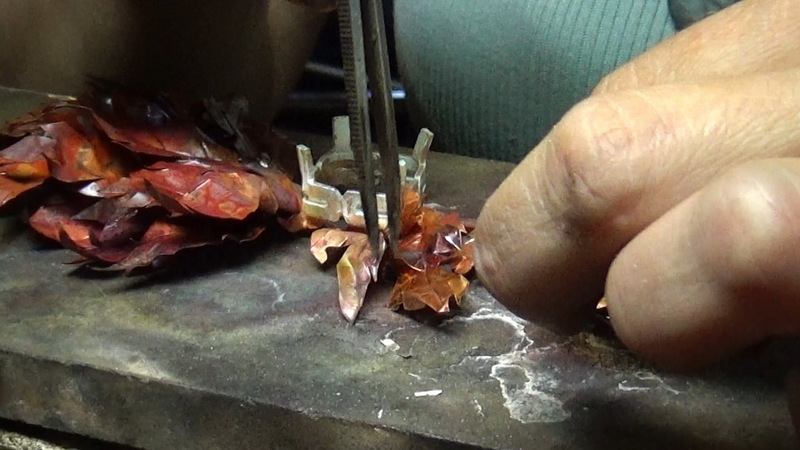 At AikSpy, we pride ourselves on building jewelry that will last a lifetime, and by adhering to the following guidelines, you can help ensure that it will. What if I can’t pay the balance within 90 days of my AikSpy project’s completion? I love my AikSpy piece! But how do I insure it? We do not appraise jewelry. 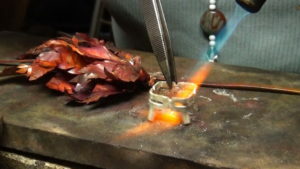 We will provide you with a Jewelry Report that outlines the sizes and weights of the materials used in your piece, as well as the scope of work that was done for your AikSpy piece. You can provide this document to your appraiser of choice, and he or she can use it to create your formal appraisal.